Unlike the subwoofers found in concert or theaters, car subwoofers are more subtle in their design. Ideal for being hidden because of space limitations, car subwoofers are often found in the doors or the trunk of an automobile. Sol Control Customs also can build custom enclosures to fit any space in a any car, truck, or SUV. They are designed to be compact so that the automobile operator can still enjoy the same dramatic sound of their favorite song, but without the bulky nature of other subwoofers. Realistically, the same model that is used in a theater or concert could never fit inside of an automobile. This is why car subwoofers are small and subtle, in that the manufacturer does not want to take away from the interior appearance of the car by allowing a bulky audio product to be visible. Subwoofers meant for vehicles also have a much larger magnet and the cone inside the speaker is much more rigid to handle deep bass. Unfortunately for many, some music enthusiasts are determined to create intense sounds with their car subwoofers, which can result in hearing loss for those inside the automobile. The most common way to do this is by turning up the bass sound and ‘jamming’ to the beats of a song. If exposed to extremely loud sound coming from the car subwoofers for a prolonged period, hearing loss is often severe. Therefore, these products should be used responsibly just as any other device inside of an automobile. Consult with your Sol control Customs expert to learn more about what speakers fit your needs. Car subwoofers can, however, enhance the car audio experience greatly. In addition, they can also be used to greatly enhance the unique look of a car. In this case, car subwoofers are designed to be seen as much as heard. They are designed in various sizes, including round, square, triangular, etc. 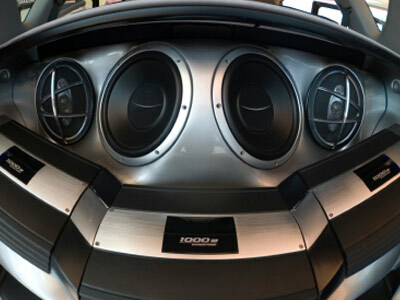 Most auto enthusiasts prefer to install their own car subwoofers, while others opt for having them professionally installed. WE can create amazing custom speaker enclosures out of fiberglass and even paint match them to your car color of choice. When shopping for car subwoofers, there is no shortage on options. Sol Control Customs of new Port Richey carries a wide variety of audio products and feature a broad range of price tags to go with them. 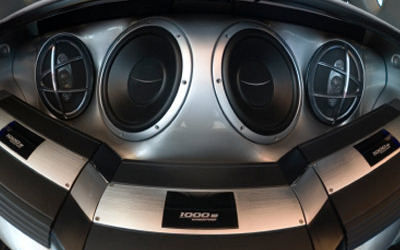 Car subwoofers, depending on the model and features, can be very expensive. However, this is the case with almost every automobile upgrade or product. The majority of car subwoofers carry some type of warranty, which should be clearly outlined on the packaging or by the retailer. It is a good idea to save any warranty information, which will be the only way to redeem the manufacturer’s services at no cost in the event of a problem. Warranties will vary depending on the manufacturer, but often are limited to defects that are a direct result of workmanship or materials. Misuse of a product is not normally covered under a manufacturer’s warranty. 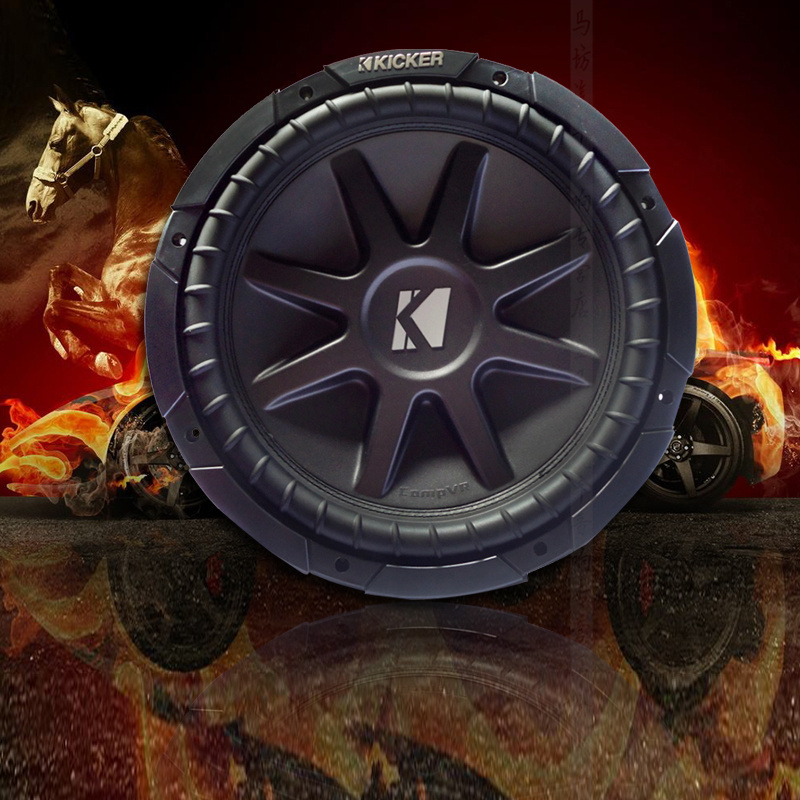 We carry the full line of Kicker and Soundstream subwoofers so contact us today for a consultation on the warranty of these products. Why Have A Car Sub Woofer? 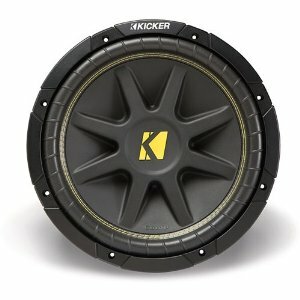 Why should you have a car subwoofer? First you need to learn what one is. Well a subwoofer is a speaker that is powered by an amplifier tuned in to and plays back low-frequency sound or bass. Subwoofers create low-frequency sounds and contain those low notes that are missing from most car stereo systems. They are heavily used in the streetcar-tuning scene; many cars out there have massive I.C.E (In Car Entertainment) installs. There is even a whole range of music designed to push subwoofers to their limits and give them a thorough workout. The genre is known as “the bass track”. 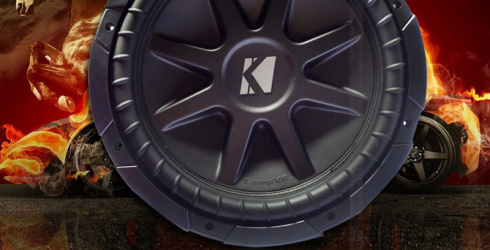 At Sol Control Customs & Tine we offer a full line of Kicker and Soundstream subwoofers for your liking and ones that can fit your budget. 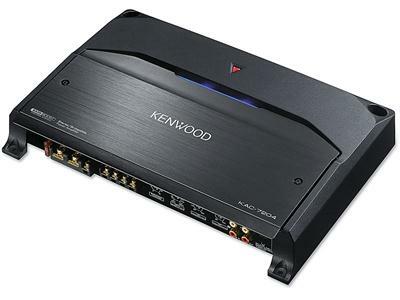 Subwoofers are either passive or powered, with the passive systems drawing power off of the car’s head unit, and the powered systems have an independent powerline hooked up to them, usually right off the battery. Car subwoofers are mounted in boxes and placed in the boots or trunk of the car, or in other places such as the cars parcel shelf or the space beneath the car’s rear window. Car subwoofers also vary dramatically in size, on average from 6.5 inches all the way up to 60 inches in the crazy monster subwoofer category. There are plenty of relatively inexpensive subwoofers that are available, however the car subwoofer is a bit of a luxury item, so buy the best you can afford. The car subwoofer is mounted in a box made of MDF usually, although some of them come in tubes, known as bass tubes. 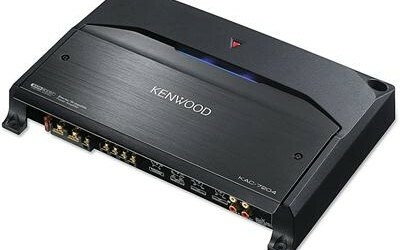 Typically they are hooked up to a single channel amplifier set with a low crossover to provide the bass tones. Independent amplification is necessary, because the amount of power subwoofers need, can be too much for the car’s standard audio equipment. Since the car subwoofer is usually mounted in a box, they can take up a lot of room. If you want to fit a subwoofer you must be ready to sacrifice a substantial amount of space in order to house this specialty item. However, there are systems these days that place the car subwoofer and unused nooks and crannies of the car, these are specially built pod’s if you like and can be found for most popular makes of car. A car subwoofer is a must in the overall high-end I.C.E setup. It is wise to choose the best product that you can afford, and not sacrifice price for quality. However that said, because of the big business there is in car audio products and subwoofers in general you can often find a bargain. My advice would be to search on the Internet and the online auction sites and see what you can pick up. If you’re like many people with their own car, you no doubt like to personalize certain aspects of it’s interior or exterior from time to time. From after-market alloy wheels to designer seat covers, personalization is something that most car owners do at some point to stamp their personality on their car and make it their own. One of the most popular ways to tailor your cars specification to your driving and personal style is to add or customize the in-car audio system. Whether it is a new car or one bought second hand, many people make the decision to personalize the audio components in their car to reflect their personal tastes and enhance the quality of the music experience where possible. From simply adding a CD player to completely upgrading the sound system to a DVD audio visual entertainment package, there are a variety of options for most tastes and budgets. Whilst there are numerous retail stores both on and off line that sell vast ranges of car audio equipment, to get the best value for your money, you may want to consider purchasing car audio equipment form Sol Control Custom & Tint. Many people may believe that buying car audio products wholesale requires buying in quantity, but this is not always true. Sol Control offers only the highest quality products at a cost that is close to wholesale cost. You get the best of both worlds, the best quality at the best price. Once you have received your car audio components all you need to do is have them installed correctly into your audio system. If you have the technical expertise to fit audio components you will save money and be sure of a good job but, first ensure that you are not invalidating any warranties by customizing the system yourself. Some manufacturers require that systems are fitted professionally to maintain the standard warranties. So to get the maximum potential from your customized system it is essential that they are installed correctly. We highly recommend a professional like Sol Control to do this though. They are located close to Holiday Fl and you will also have a warranty that goes with it. future improvements you might make.